OPEN the gates to this private estate drive down the sweeping driveway and you will find a beautiful home filled with elegance, style and grandeur. 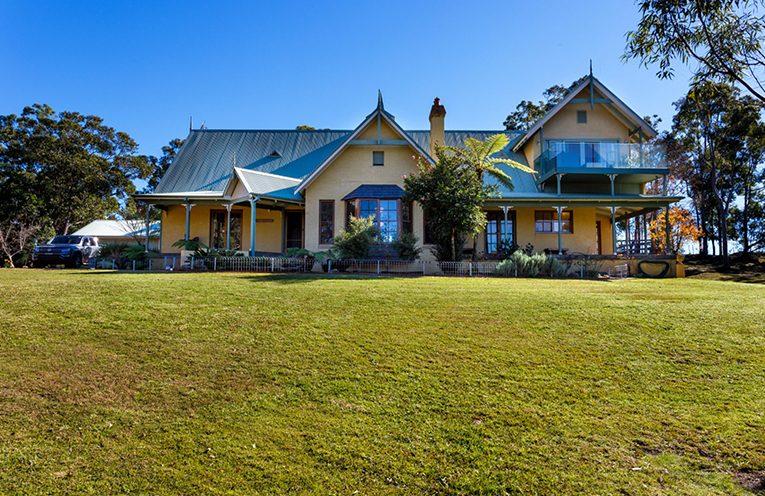 Positioned on approximately 1.05Ha or 2.5acres, this highly accommodating family abode would arguably be one of Tea Gardens’ best. Dylan Tennyson from Tea Gardens Real Estate is very pleased to offer this elegant home to the market. The spacious floor plan encompasses 4 large bedrooms, 3 of which boast sizable walk-in robes. Ceiling fans throughout the home, under floor ducted reverse cycle air-conditioning and optimal ventilation provides you with year round comfort, the handcrafted staircase leads you to the master suite which features a personal study nook/sitting room, gorgeous ensuite with sunken spa, spacious walk-in robe and front and rear balconies. The well-appointed kitchen harmonises effortlessly with the dining/living areas and includes modern appliances. Stylish French doors open from the kitchen, onto the ‘breakfast’ balcony overlooking the spacious front garden, providing the ideal spot to start your day. The 6m x 9m workshop includes 15 amp power and an additional 6m x 9m carport for added vehicular accommodation. The double garage connects via a covered walkway to the home. 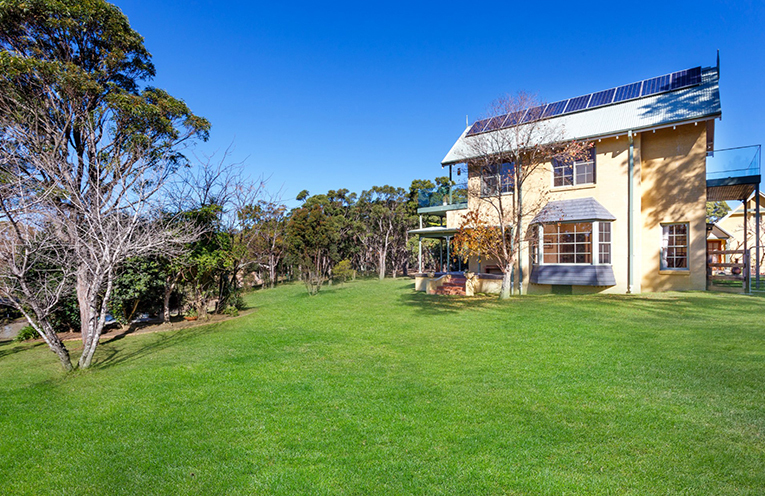 Included with this impressive residence is a 6.5kw solar system plus a 10kw LG battery storage for reduced power bills, LED lighting, 360o motion sensor video surveillance, dual open fire place. Inspections are invited by appointment, please contact Dylan on 0418 292 908.